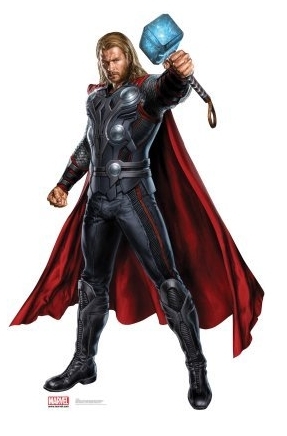 This is a high quality laminated life-size cardboard cutout of Thor from Joss Whedon’s THE AVENGERS movie. Measures 76 x 49 (height x width) inches. Let your home be defended by Thor with this fantastic The Avengers collectible! 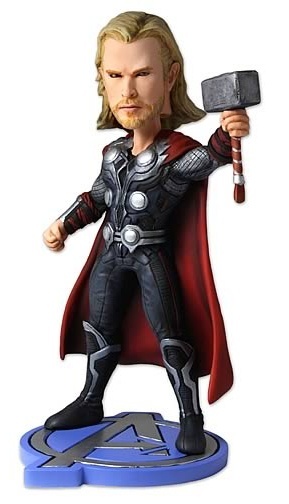 This is NECA’s (National Entertainment Collectibles Association) Thor Bobble Head based on the Chris Hemsworth’s Thor as seen in Joss Whedon’s The Avengers. 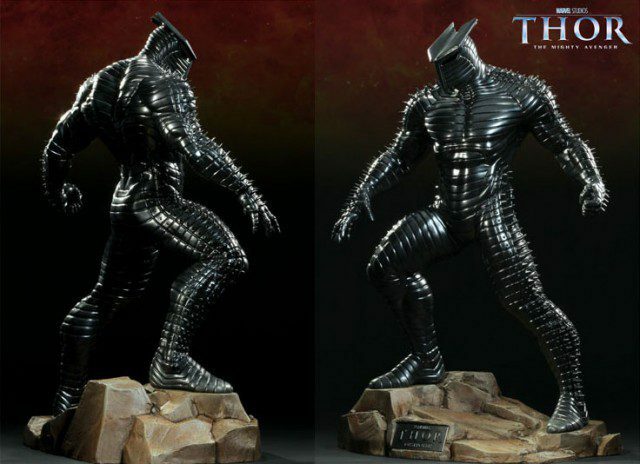 Not the most expensive of Avengers collectibles and will look good on any desk that’s craving a giant bobbing Thor head. 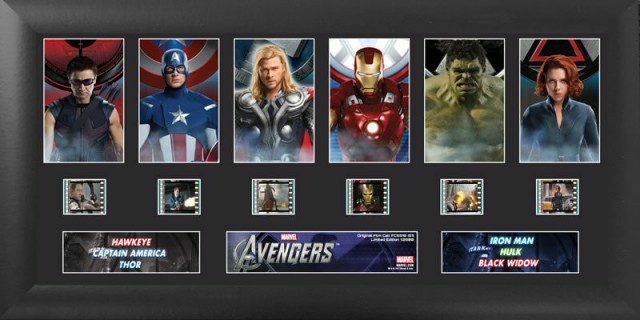 Boost your list of collectibles from Joss Whedon’s film The Avengers with this limited edition Deluxe Film Cell! Features six hand selected 35mm film cells in a black wood frame, each cell represents an Avengers team member: Hawkeye, Captain America, Thor, Iron Man, Hulk, and Black Widow. 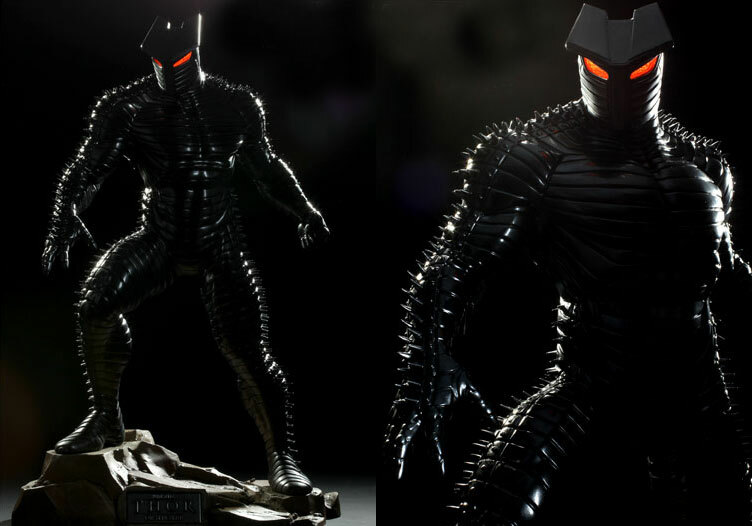 Measures 20-inches long x 11-inches tall.